Itchy pets can be one of the most frustrating signalments seen in veterinary practice. 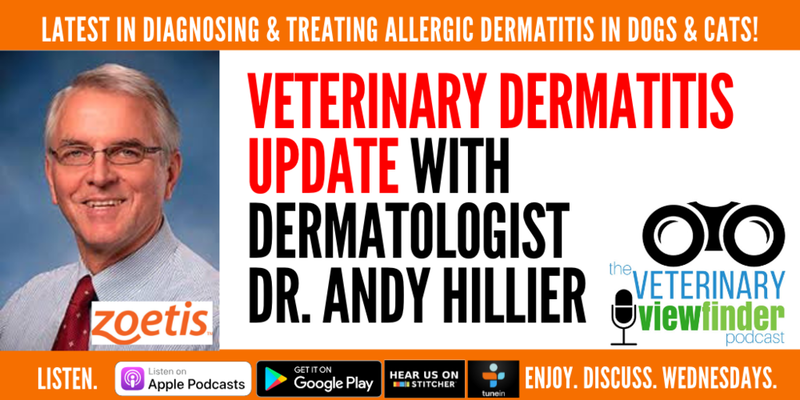 This week we chat with Board-certified veterinary dermatologist, Dr. Andrew Hillier from Zoetis, to discuss the latest developments in the diagnosis, treatment and client communication strategies for allergic dermatitis. This is a high energy conversation that walks you through the practical (and shockingly simple) steps your veterinary team needs to take to ensure better treatment - and compliance - with your dermatology recommendations. Zoetis is dedicated to changing the way we approach canine pruritus to protect the bonds that matter most. Visit www.ScienceofStrongerBonds.com for more. Do not use APOQUEL in dogs less than 12 months of age or those with serious infections. APOQUEL may increase the chances of developing serious infections, and may cause existing parasitic skin infestations or pre-existing cancers to get worse. Don’t forget to leave us a review on iTunes!